The Chamber is a group of member businesses working to build the communities we serve. We are established as a 501(c)(6) non-profit organization. 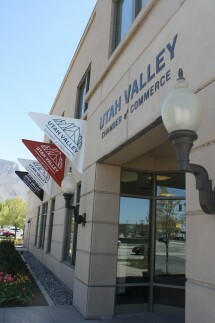 Our governing body is the Board of Directors made up of volunteer business leaders from throughout Utah Valley. creative solutions, calculated risk-taking, leading by example, and getting things done. • FUN - We create enjoyable, memorable experiences and celebrate our shared achievements. • SERVICE EXCELLENCE - We are helpful, friendly, and responsive.